Now, these may be tents, but they’re far from what you may imagine when you think of camping. Almost a misnomer, each of our Top 10 Luxury Camps in India affords all the comforts you’d expect from a five-star hotel, such as an en-suite bathroom full of luxury amenities and, of course, air-conditioning. 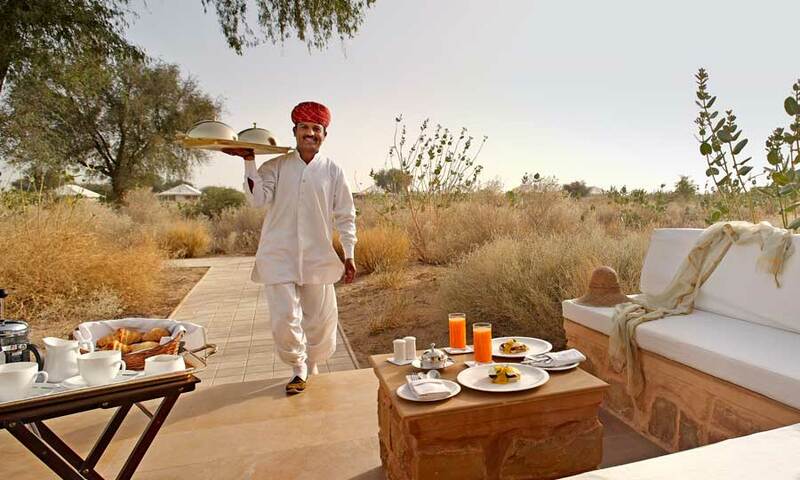 The Serai is a luxury tented camp in Jaisalmer, on the fringes of the Thar. An oasis in the desert, the camp sprawls over a hundred acres of private indigenous scrub. Part of the stylish SUJÁN group, The Serai offers 21 tents, each of which is opulent yet unpretentious, boasting their own outside sitting area, inner lounge, separate bedroom with en-suite and his-and-hers bathroom. A number of tents also offer their own private garden and outdoor heated plunge pool. The renowned spa is a highlight of the camp and offers indulging treatments using locally-sourced, organic ingredients. Our perfect day in Jaisalmer would start with a privately guided tour of the 1000-year-old Jaisalmer Fort, later returning to the camp for a Jeep ride through the arid scrubland, spotting elusive desert wildlife. Continue with a camel ride at sunset over the private dunes to where a butler awaits you with sundowners. Jawai – the newest addition to the SUJÁN group and the third of their luxury camps in India – is located amongst the Aravalli hills, surrounded by stunning natural landscapes home to the wild leopard. Seemingly in the middle of nowhere and firmly off the beaten track, in reality, Jawai is a convenient two-hour drive from Udaipur. Each of the ten luxury tents is ultra-stylish and comfortable whilst at the same time being eco-friendly and uncompromising on conservation. The contemporary interiors are adorned in black leather furnishings and sepia leopard portraits, whilst giving a nod to the heritage of the area with traditional hand-crafted artefacts. The private en-suite bathroom comes with a rain shower. Whilst at Jawai, most of your time would be spent leopard spotting on a guided safari through the nearby unspoilt wilderness, though beyond the wildlife there are plenty of other exciting things to do; such as a day excursion to the beautifully carved temple in Ranakpur nearby or hopping on one of the camp’s complimentary bicycles. The Ultimate Travelling Camp is nestled within the Leh Valley and offers the opportunity to drink in the breathtaking beauty of this region without compromising on comfort. Lavishly furnished tents evoke the days of the Raj and come equipped with a bedroom, en-suite bathroom, your own veranda, and large windows to soak up the beautiful surroundings. To keep yourself occupied the camp offer a range of culturally rich experiences, from hiking and cycling tours to visiting the local monasteries for an authentic insight into the deep routed Buddhist culture of the area. 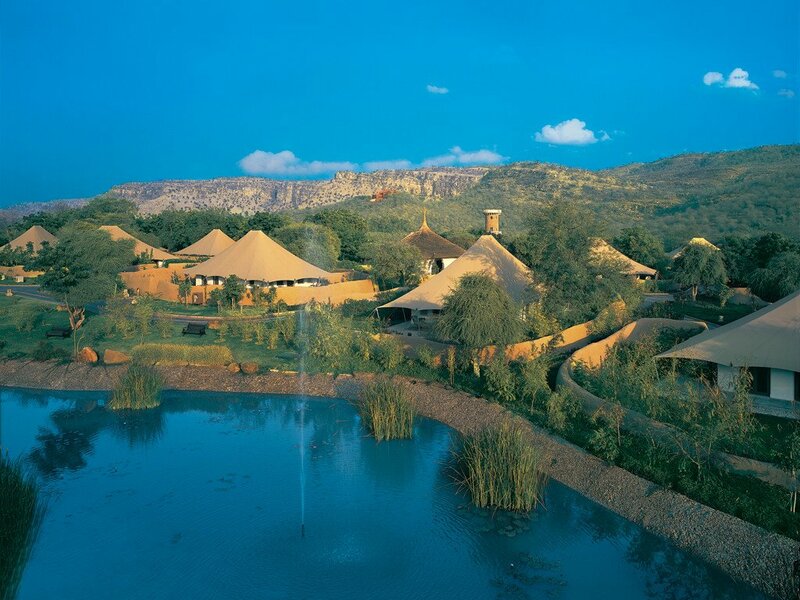 Nestled on the edge of the tiger reserve, the Oberoi Vanyavilas rests within the Aravalli hills, surrounded by the natural beauty of the wilds. 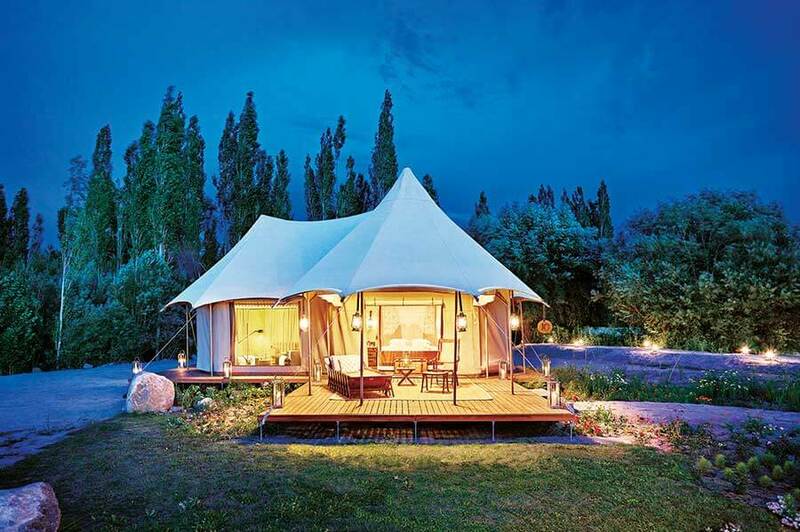 Inspired by the grandeur of the royal hunting camps of yesteryear, each luxury tent at the Oberoi Vanyavilas is spacious and adorned with delicately embroidered canopies. The luxurious en-suite bathroom boasts its own free-standing, claw-foot bathtub and extends to a private walled garden. The Oberoi Vanyavilas is often our guests favourite of all the luxury Oberoi hotels in India, and we’d have to agree! Service is incredibly attentive yet unobtrusive and the vast manicured gardens are a haven to return to after a day of tiger spotting in the reserve. We’d recommend a private dinner by the lilypond for a truly memorable stay. The third SUJÁN property to make our Top 10 Luxury Camps in India is Sher Bagh, a luxurious tented camp on the borders of Ranthambore National Park. 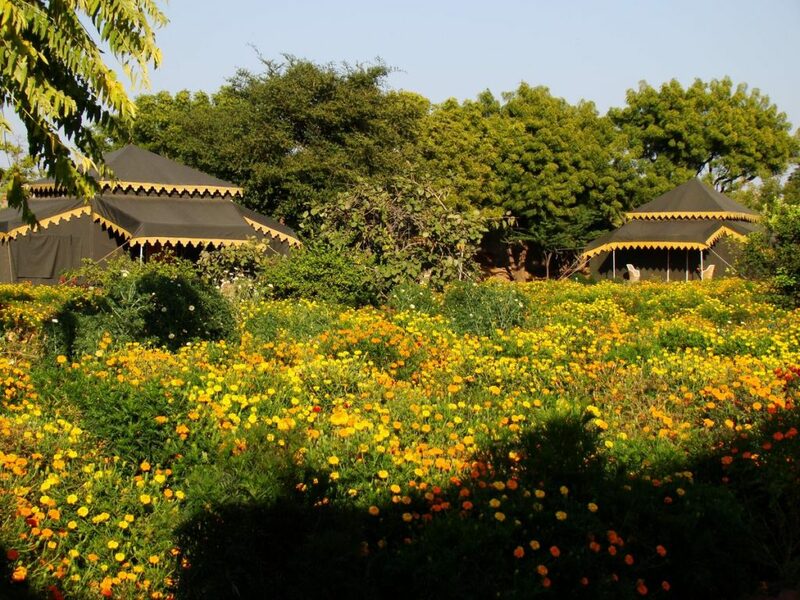 The charming thing for us about Sher Bagh is that it affords a wonderfully authentic and exciting stay in the jungle, whilst offering all the facilities and excellent service one would require for a comfortable stay. It’s luxury but not at all pretentious, with a laid-back vibe and dusty boots welcome. 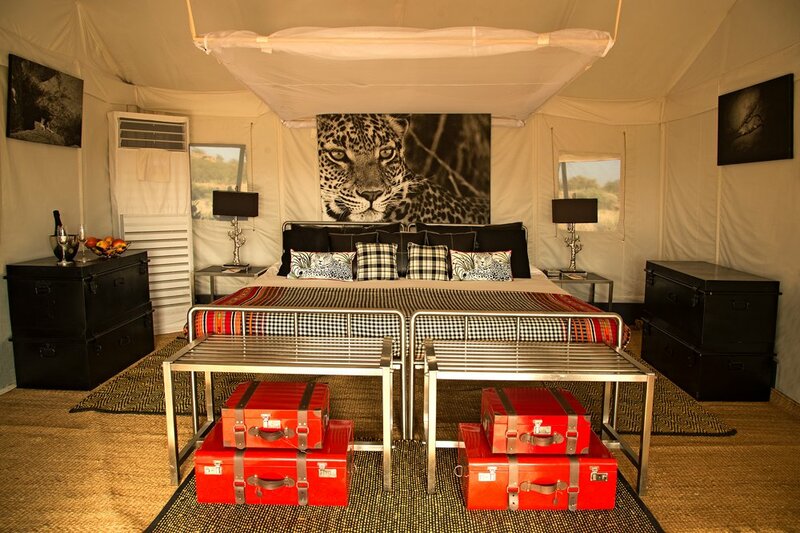 The camp is decked out in a 1920s safari style, evoking the heyday of the British Raj. In the evenings, guests are encouraged to dine together around the crackling campfire, discussing sightings together and with staff. The Jungle Spa offers a range of aptly-named treatments, such as the ‘Pot Hole Reviver” for relieving a safari-induced sore back. 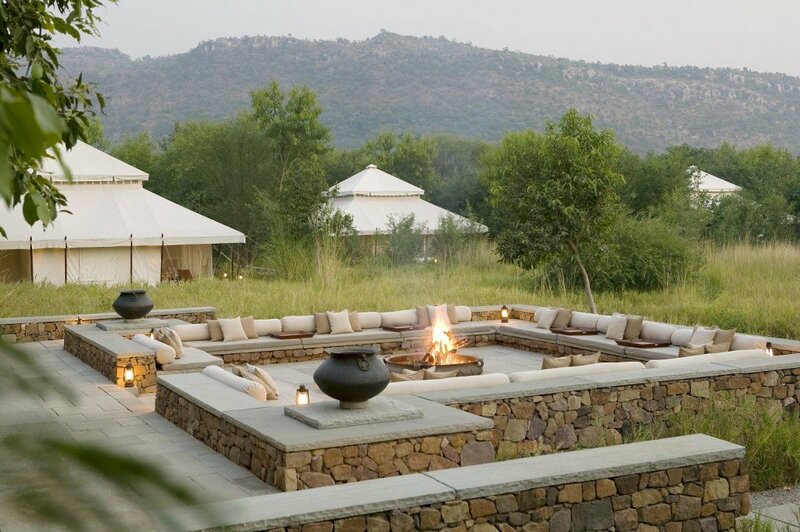 The exclusive Aman-i-Khás is arguably the most lavish of our luxury camps in India (and even hosted Katy Perry and Russell Brand’s wedding in 2010!). Here, ten opulent tents evoke the rich Mughal travelling tents of a bygone era, each draped in fine cotton and offering separate sleeping, bathing and dressing areas, as well as a lounge outside on the deck. Three other tents at the camp are reserved for dining, lounging and spa, with the lounge offering a selection of books about Ranthambore and its tigers. The large fireplace around which all tents are located is the main focal point of the camp and here, guests gather in the evening to relax and discuss sightings. Aman-i-Khás is an ideal choice for those who’re seeking the ultimate levels of understated luxury and a genuine wildlife experience: modern amenities such as televisions and telephones are not provided, to ensure a natural and harmonious environment. 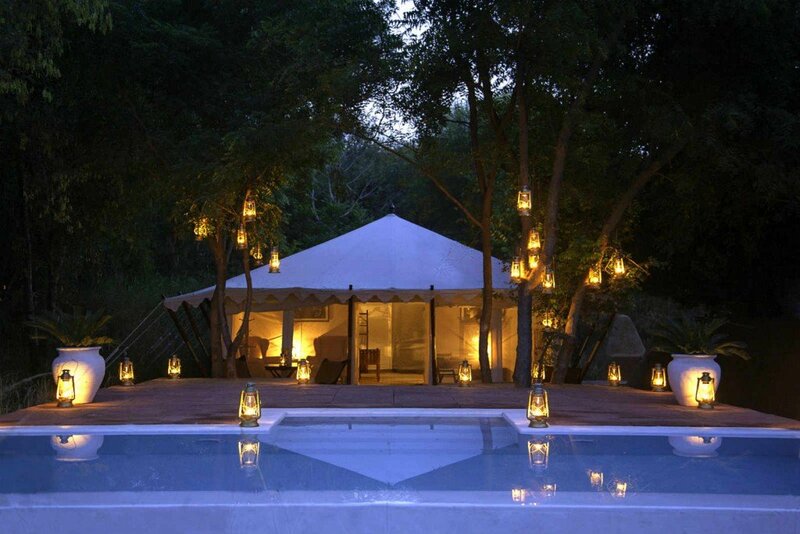 Samsara is a luxury tented camp (and resort) in the midst of the Thar Desert, in the small village of Dechu. Surrounded by unspoiled dunes, Samsara is an ideal location to really switch off and take in the desert experience. Each luxury tent is adorned with pops of bright, jewel-like Rajasthani colour, with touches of traditional block-printed fabric adorning locally-sourced furniture. The highlight of a stay at Samsara, for us, is an exhilarating Jeep safari up and over the dunes. The sunset camel ride is a close second, though, as is the evening bonfire barbeque with colourful folk performances and a crackling bonfire. There’s no swimming pool at the camp as Samsara aim to offer an authentic desert experience, though a lovely one is available at their resort a short Jeep ride away (complimentary transfers to and from the resort are available to guests of the camp). 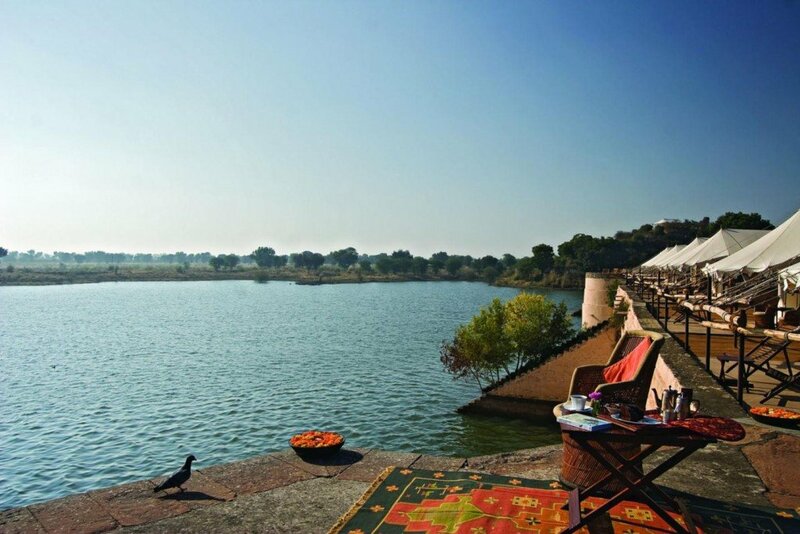 Hidden within rural Rajasthan, the peaceful Chhatra Sagar camp offers ten luxury tents perched around a lake, with a further two on a nearby hilltop. This is a wonderful place to really relax and unwind, going for gentle walks and spotting birdlife; a refreshing break from the bustling cities of Delhi, Agra and Jaipur. The friendly camp owners enjoy interacting with guests around the campfire in the evening whilst authentic local cuisine is cooked fresh with local vegetables. Each tent is decked out with a comfortable bed, writing desk and dressing area, as well as an en-suite bathroom and a private, outdoor sitting area to overlook the water. When: Open during October to coincide with RIFF (Rajasthan International Folk Festival). Each year, the Maharaja of Jodhpur hosts RIFF, also known as the Rajasthan International Folk Festival. For the convenience of festival goers, he presents a small luxury camp of Royal Tents within the fort grounds. This is an ideal setting for attending the festival as you are only ever a short walk away from the activity and can easily dip in and out as you please (as opposed to trekking down the fort, meeting up with your driver and travelling to a hotel elsewhere). The tents are somewhat basic as compared to others featured on this list of our Top 10 Luxury Camps in India, though they’re perfectly comfortable and come with everything the festival goer would need for a dignified stay, such as a proper bed with air-conditioning and en-suite bathroom. All meals are included during the stay and served in the nearby dining tent. 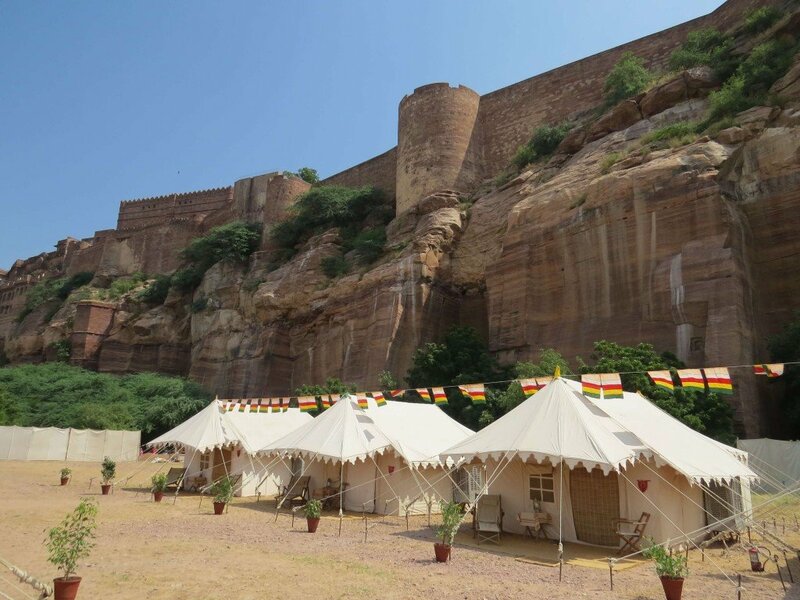 Guests of the camp are also treated to complimentary festival passes and a tour of Mehrangarh Fort Museum. Orchard Tents makes an ideal base for soaking up the festivities of the annual Pushkar Fair (falling in October or November, depending on the lunar calendar). 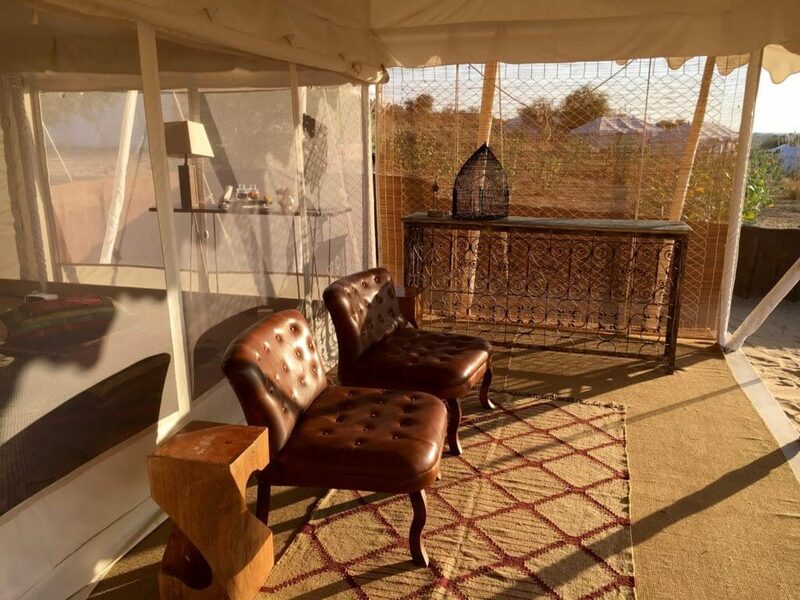 It’s the only luxury camp in the area and offers 15 well-appointed tents, nestled amongst gooseberry orchards and rose gardens, all of which include a living area, dressing area, bedroom and en-suite bathroom, as well as a private veranda. Evening meals are served around a campfire and accompanied by traditional music. These are merely suggestions that have been prepared based on routes that we and our past guests have loved. All our tours are tailor-made and can be tweaked or completely transformed to best suit your tastes.